Teacher Sumomo and her friend visited EL Korean office. > TOPIK | EL Korean - Enjoy and Learn Korean online to speak in Korean. 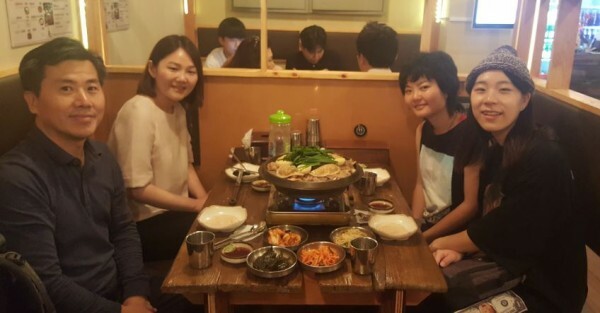 Teacher Sumomo and her friend visited EL Korean office. Date created18-06-12 10:50 View1,050. Comments0. Teacher Sumomo and her friend from Japan visited EL Korean office near Seoul City Hall. Teacher Sumomo and her friend are going to travel to Korea for a month. I hope the trip will be fun.We had the North Korean style appetizer tray for lunch.